Australian Dust Control is an Australian owned and managed company located in Sydney specialising in providing solutions for workplaces requiring dust and fume extraction. Whether it is a one-off component or a complete Turn Key system, Australian Dust Control uses the latest filtration technology and best quality Australian made products. And with a solid background in engineering and over 25 years of industry experience, knowledge and expertise, their clients are assured of an advanced level of performance from start to finish. With over 200 completed projects Australia wide and continually growing client base, Australian Dust Control has built a dedicated team delivering the best products and services to their clients. Their innovative designs are proven to provide the most efficient systems, achieving optimum performance at competitive prices. These innovative designs include a unique Variable Speed Drive with special attachment, which can be fitted to new or existing systems. This results in substantial immediate and ongoing energy savings for the client. 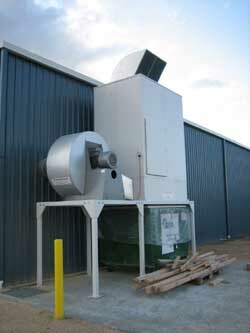 The company has a full and comprehensive range of dust extraction filters available. These include reverse pulse filters, shaker filters, cartridge filters and cyclones and their experienced staff offer complete advise on the most suitable system for a particular application. In addition to this existing range of filters, the company are now able to offer a new Reverse Flow dust filtration system. This has the advantage of being a truly modular construction enabling modules to be added as a business grows. 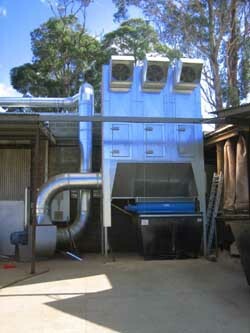 In addition to their range of dust extraction filters, Australian Dust Control also supplies a range of dry spray booths, fume extraction systems, extraction fans and ducting, with all systems supplied in compliance with Government Acts, Work Cover and Environment Protection Agency (EPA) current requirements. Pty Ltd will be in touch as soon as possible.